... is a seventeen year old student-athlete who is looking forward to continuing her basketball career beyond high school. She began playing basketball at the beginning of her fifth grade year after a short stint with ballet dancing. The moment she started playing basketball she fell in love with the sport and chose to stop dancing. 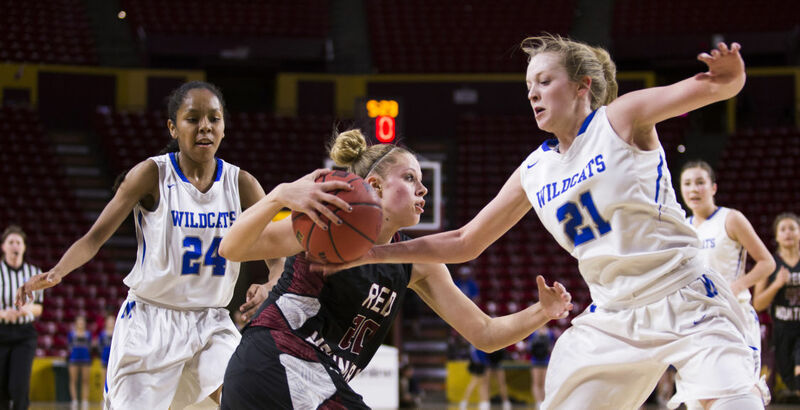 She played with the Arizona Lady Hoopers for three years and Arizona Elite for one year before finding her great mentors, Coaches Josh and Candice Gonzales of Team Arizona. Once meeting that dynamic duo, she dedicated the remaining years of her club basketball career to Team Arizona. She made the varsity team at Mesquite High School during her freshman year. For her, it was a tough summer leading into the tryouts because she put all her efforts and extra hours training and preparing for the team. Her work ethic paid off and she was subsequently selected to play varsity. Her continued hard work and dedication continued and she played varsity during her sophomore and junior seasons as well. The 2015/16 fall season is her final one as a Wildcat and it will be a very bittersweet one. She has made a lot of friends and throughout her time at the school, served as a mentor to students and athletes on and off the court. When she is not playing basketball, she enjoys hanging out with her friends and venturing into the great outdoors. It is not uncommon to find her hiking trails, surfing a wave, or kicking back with her family. With a steely eyed focus and a commitment to excellence, she is looking forward to the next chapter in her life and is prepared to play at the collegiate level. Volunteer with Freeport McMoran – While at Freeport, I packaged and boxed food items for less fortunate people. Painted child centers in various safe houses throughout the Phoenix valley. Izzy Spruit (front center) after painting and refurbishing the buildings and playground at the De Colores domestic violence shelter.